With one search we’ll show you the best hotel deals in London from 100s of websites. But where do you want to stay in this huge city? Hotels can be found all over London but most tourists want to stay in zones 1 and 2 on the Tube map. London is a business city as much as a tourist destination so often hotel deals are available on weekends and off season especially in the City (financial district) and in Docklands to the East.. Budget Hotels London can help you find deals and discounts no matter how many pounds you have to spend. There is a concentration of five star London Hotels around Hyde Park, particularly on Park Lane. This is where you will find The Four Seasons Hotel London and The Hilton on Park Lane. If you are arriving in London by Eurostar or by regular train from the north, there is a cluster of chain hotels around St Pancras, Kings Cross and Euston stations. Good examples are Holiday Inn London Bloomsbury and Comfort Inn & Suites King’s Cross. For the budget traveller there are several budget hotels and hostels. 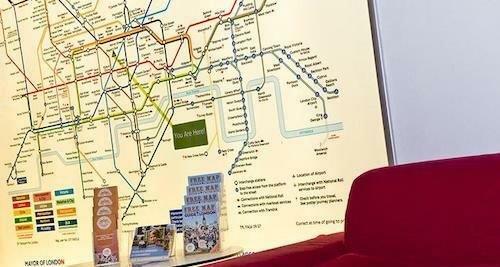 Travel Joy Hostel is in Pimlico, convenient for Victoria Station. The YHA London Central is located in Marylebone. The area around Earls Court tube station, west of the centre is popular with backpackers looking for budget hotels in London. 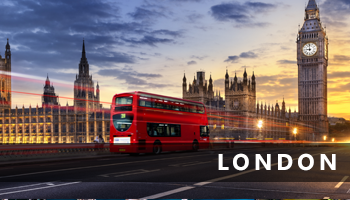 Search our full listings of budget hotels in London for current availability and live pricing. Budgethotels.com has no booking fee or markup on any accommodations. See prices including or excluding all taxes and fees – you choose! Budget Hotels in 1000s of cities of the world. Find the best deals on over one million hotels worldwide, quickly and easily. From hostels to five star ultra luxury resorts, it’s as easy as choosing your destination, entering dates and we will show you live availability and bargain prices. Top Tips for Seeing London on the Cheap! London is a world city full of history and modern architectural marvels. Most of the great museums such as the British Museum, The V & A and Tate Modern have free entry. London is a big city but local transport is efficient to get you around all the neighbourhoods by bus or tube. When you choose budget hotels in London or other accommodation, make sure you are located near a tube station. Many of the most famous sights can be appreciated on foot by taking the Thames Path along the river from Westminster and the Houses of Parliament to Tower Bridge at the entrance to the City of London. Take Westminster Bridget to the Southbank to begin your walk.You’ll pass by such sights as the London Eye, Shakespeare’s Globe Theatre replica and the battleship HMS Belfast. Looking to the north side of the river you will see such sights as the Millenium Bridge and St Pauls, along with some of London’s oddly shaped (and named) office buildings – The Gherkin, The Cheese Grater, The Walkie-talkie. London’s tallest skyscraper is The Shard and is located on the south side of the River Thames, between London Bridge and Tower Bridge. Welcome to BudgetHotels.com. We are the top resource for locating discount hotels and deals on hotel rooms in London and in major cities around the world. We aren’t into ‘cheap hotel rooms’ but we know many like a deal. BudgetHotels.com helps business travelers and vacationers find luxury four- and five-star hotels at the most affordable rates. We can also help you find affordable hotel rooms for two- and three- star hotels. With our convenient and easy hotel search, you can search over 800,000 great hotels and receive the best available price, guaranteed. Simply enter your travel details to find your bargain hotels today.